Shoddy performance no matter what hardware you're running, no access to local servers so lag is a constant issue, and clunky movement and controls. But even so, great gameplay with a truly impressive sense of scale make PUBG worth playing. If only just to see what the fuss is all about. So yeah, not matter if you're playing the game on a Xbox One or Xbox One X, PUBG doesn't run well. The X renders everything in 4K with better textures and a bigger draw distance, but the inconsistent frame-rate means regular dips to 20fps. Just like on the core Xbox One. Especially during early moments and weirdly going from indoor to outdoor. With a 30-fps target PUBG does hit this quite often and when it does the gameplay is smooth, but it's horrendously optimised. Truth be told it looks and feels like an Early Access title that still needs a lot of work. Based purely on the visuals, which are average at best. You'd be hard-pressed to figure out why it runs so poorly. That being said, PUBG is a phenomenon - and even right now it will take you a matter of seconds to be put into a brand-new round of 50 versus 50 on Xbox One. Remarkable. As is the core concept and some of the execution. The huge island where the battlefield gets smaller and smaller, scavenging for weapons and items, running into people and not knowing whether to shoot or team up, listening to the distant sounds of gunfire and wondering if you should check it out. 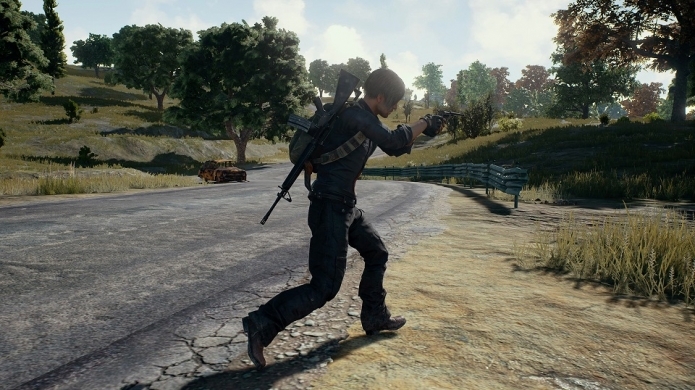 PUBG on Xbox One is still PUBG, but more PUBG as it was six months ago on PC. So here's to local servers and regular performance patches.